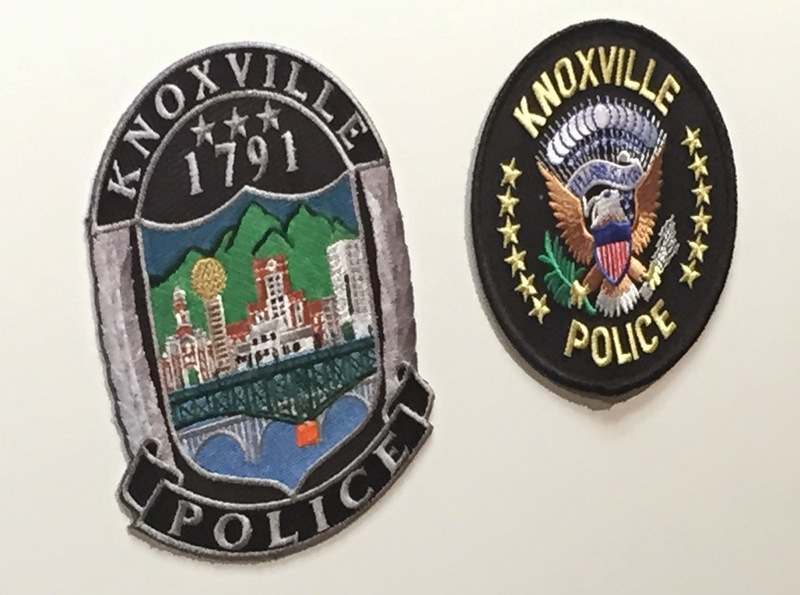 The Knoxville Police Department's uniforms are getting a new look. For the fourth time in the department's 166-year history, the department is adding a new design to its uniform: a shoulder patch. Knoxville Mayor Madeline Rogero and Police Chief David Rausch unveiled the new shoulder patch for the department's uniforms late Tuesday morning at the Safety Center. The last time the patch was redesigned was in the 1970s. Chief Rausch said the department has worked on this patch for more than a year, and it's only the fourth patch in the department's history. The department said the new patch reflects qualities of the city, including scenes of the Great Smoky Mountains, the Sunsphere, the Howard Baker Jr. Federal Courthouse, Ayers Hall, and other iconic sites. Some officers are already wearing the new patch, and the department will add more through the month. Chief Rausch said the city won't bear any additional costs for the patch.